Move right in to this bright end unit in the Balbrae community. The formal living room, with fireplace, opens to a private elevated deck. 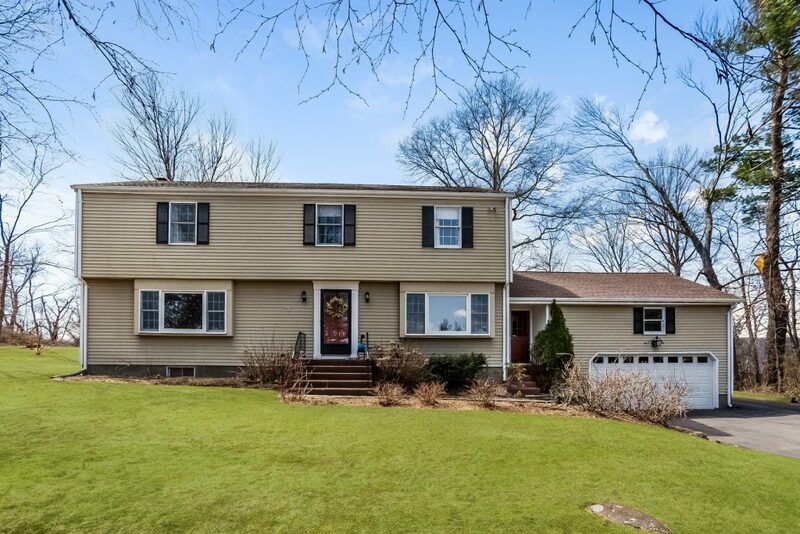 Enjoy the updated kitchen with stone counters, butler’s pantry, and elegant dining room with wainscoting. 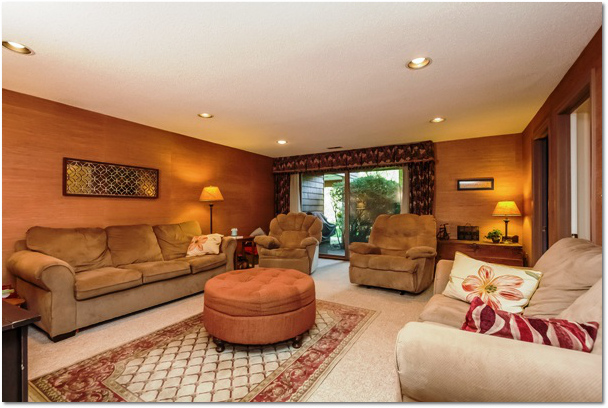 A first floor den with gas fireplace and built-ins is a terrific place to work or relax. Retreat upstairs to a spacious master bedroom with en-suite full bath and walk-in closet. The finished lower level features a large family room (shown above) that walks out to a patio. The fourth bedroom, a full bath, and laundry are on the lower level. The heat pump and hot water heater were replaced in 2013. The home has central air, an attached 2 car garage, a quiet location at back of the community. Balbrae’s amenities include swimming and tennis, and the community is adjacent to the MDC trail system. 47 Bath Crescent is offered at $275,000. If you’d like to see this property, please have your agent arrange a showing or call me at 860-655-2922 to schedule a visit. More details and a photo tour are available. The fall market that we were expecting to see, and then wrote off when it didn’t turn up, magically appeared in October. There were 678 contracts written during the month, which is a 15% increase over October of 2012 and a meaningful step up in activity from last month. Contract data at the individual town level continued to bounce around. Bloomfield and Bristol had big reversals of fortune from the September report, showing just how inconsistent small sample sizes can be. In addition to those two towns, Glastonbury, Manchester, New Britain, Suffield and West Hartford all had double-digit increases in the number of contracts that came together in the year-over-year comparisons. What will November bring? This is typically the month when there is a sharp decline in contracts as buyers and sellers turn their attention to the holidays. Will the October excitement spill over into November? And this year Thanksgiving is very late in the month – will that mean a smaller decline? 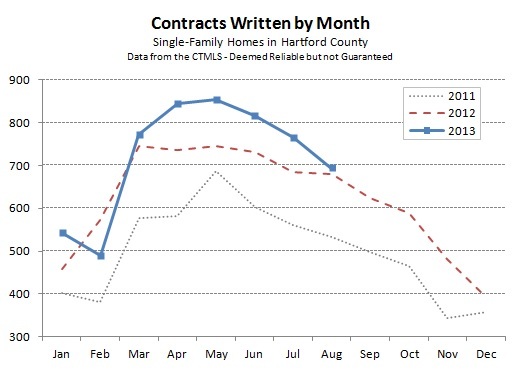 Single-family contracts dropped to 694 for the month of August, which is a continued fall-off from the spring peak yet still outpacing the 2012 results. On a year-to-date basis the 2013 deal count is about 8% ahead of where we were in 2012 as of the end of August. From an agent’s point of view, the market felt quiet in August. Deals still came together, but the pace was noticeably slower than it had been earlier in the summer. Our broker’s theory is that for the first time in years people had enough money to actually leave town for a vacation (rather than taking stay-cations) and so there just wasn’t a lot going on in August. The last week of the month saw an uptick in calls and general inquiries, though it was still a mixed bag for showings and writing contracts. We think this signals an increase in activity for the coming months and a more defined “fall market” than we have seen in the past few years. 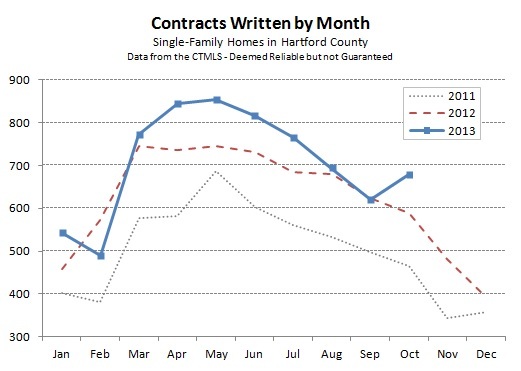 Looking at the chart at the top of the page, we have recently been seeing a peak in contracts signed in May and then a gradual decline into the winter months. This could be the first year in a while that shows a secondary peak in the September and October months before the market shuts down for the year. Town by town data shows that August was quite erratic. Many towns saw a sharp decrease in activity versus 2012, while others showed a meaningful increase. Without digging deeper into the data it is difficult to know why a town experienced a dramatic swing. 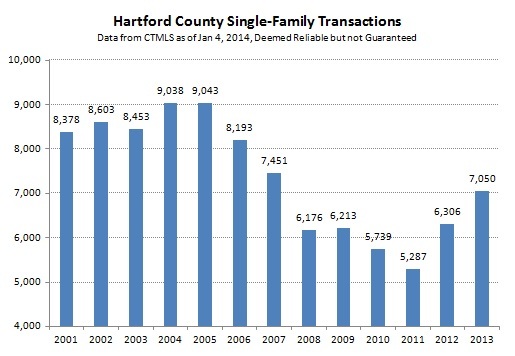 For example, West Hartford had 19 more deals this year than last year, while Bloomfield had 17 fewer deals. 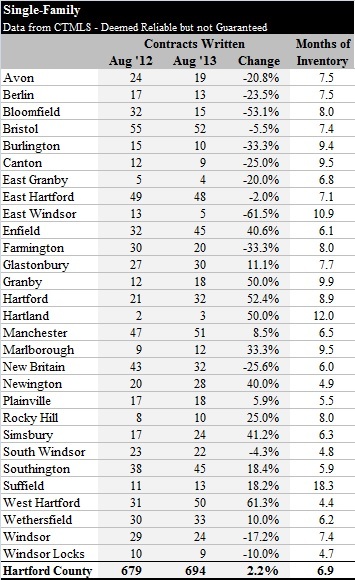 In both cases it turns out that the August 2012 number is the outlier – it was West Hartford’s worst month of the year and Bloomfield’s best month of the year. Which is odd since August is rarely the best or worst month when looking at the traditional seasonality of the market. Inventory is climbing at the county level, up from 6.2 to 6.9 since July 2013. Recall that this metric is the number of months that it would take to sell all the active listings at the current pace of contracts. Results in the 3 through 6 month range are considered a neutral market. Under 3 months of inventory is a seller’s market, while more than 6 months of inventory is a buyer’s market. 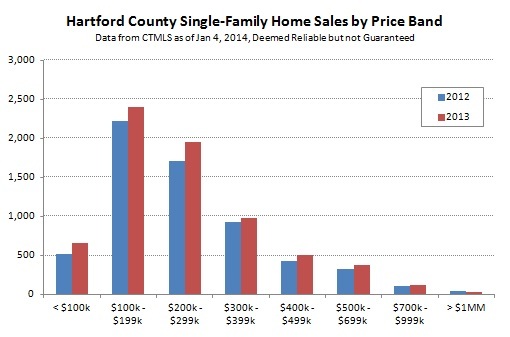 So the county overall is trending back into buyer’s market territory. As always, individual buyers and sellers need to consider the dynamics of their particular sub-markets before deciding on their strategy. 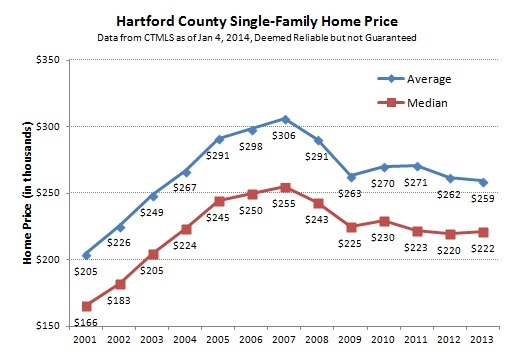 There are still sub-markets in Greater Hartford that favor sellers.